Make your gym sesh fun! (SPOT.ph) How’s that “Get Fit” New Year’s resolution going for you? If you’ve made it this far without breaking your “workout at least three times a week” streak, then congratulations! 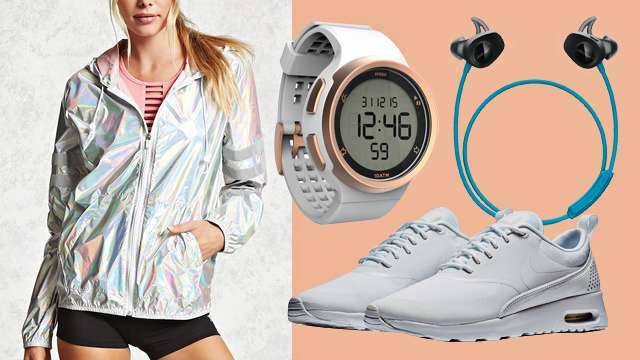 But if you’re struggling to stay motivated, we round up some really cool gym essentials that will make you want to hit the gym and make your workout sesh a lot better. 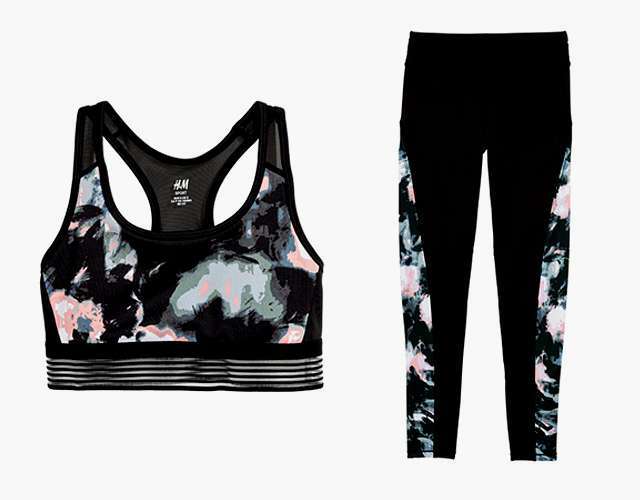 We believe that cute gym clothes is enough motivation to power through your workout. 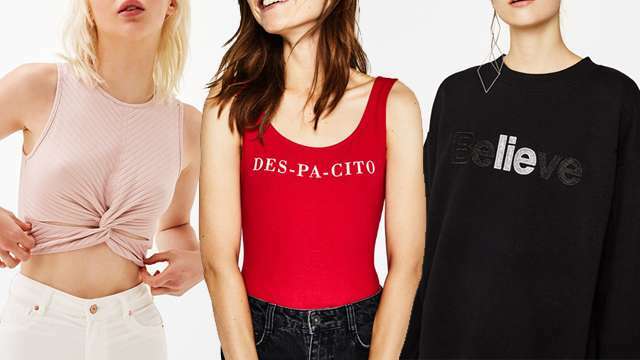 Not only are these pieces cute, they’re eco-friendly, as well! The sports bra and tights are both part of H&M’s first ever Sustainable Sportswear line, so you're helping yourself get fit, plus helping Mother Nature, too. If pretty workout clothes aren’t enough, then maybe these cute running sneakers will do the trick! 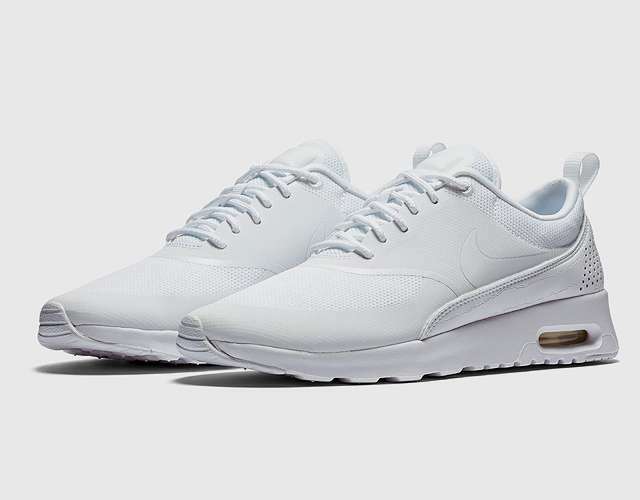 The Nike Air Max Thea features a Phylon midsole for lightweight cushioning, providing maximum comfort for your feet while you’re on the run. It also has a mesh lining at the forefoot and perforations on the heel for breathability plus a Solarsoft sockliner for extra comfort. If these kicks won’t make you want to run, we don’t know what will! It’s important to stay hydrated especially when your burning off calories at the gym. What’s more annoying than being thirsty and having no water around is being thirsty and having only warm water available. 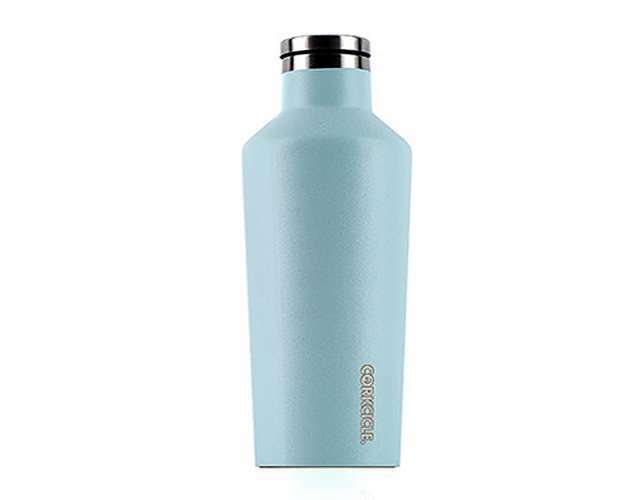 Corkcicle’s water bottle keeps water cold for over 25 hours (that’s literally more than a day) and features easy-grip flat sides and a non-slip bottom so you can be sure you won’t spill your drink easily. Plus, don’t you love its minimalist design? Keep your hair in place and not all over your face while you’re working out because there’s nothing more annoying than getting hair in your mouth when you’re lifting weights or running on the treadmill. 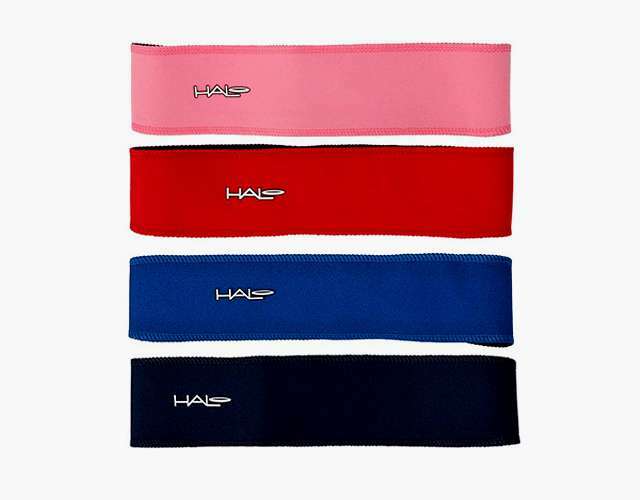 These headbands are thick enough to make sure all your hair is away from your face (and hide those annoying baby strands that make you look like a dandelion). Don’t you just hate when you finally get in the zone at the gym (thanks to your effective workout playlist) and your earphones start slipping out of your ears? Don’t let that ruin your workout! Invest in some wireless earphones that are designed to stay on while you keep moving. 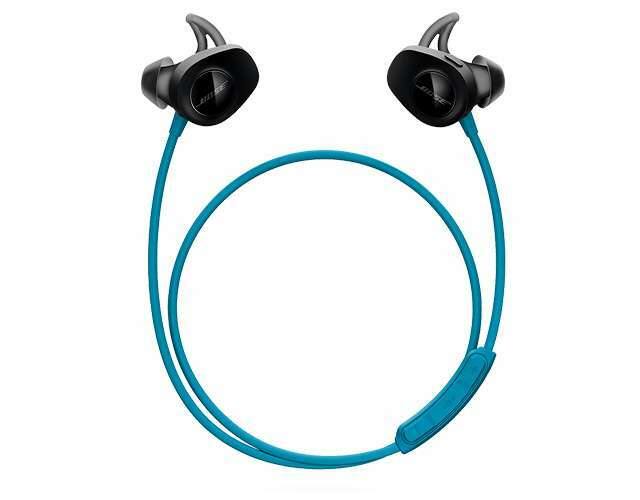 These are sweat- and weather-resistant and can easily be connected to your music app via Bluetooth. You’ll never lose motivation when you have cute socks to show off at the gym. 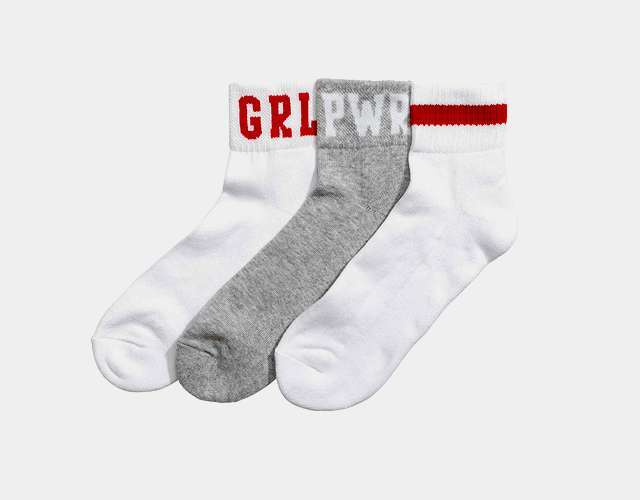 Wear these adorable sporty-meets-quirky socks with your favorite pair of kicks and show the world what Girl Power is all about! 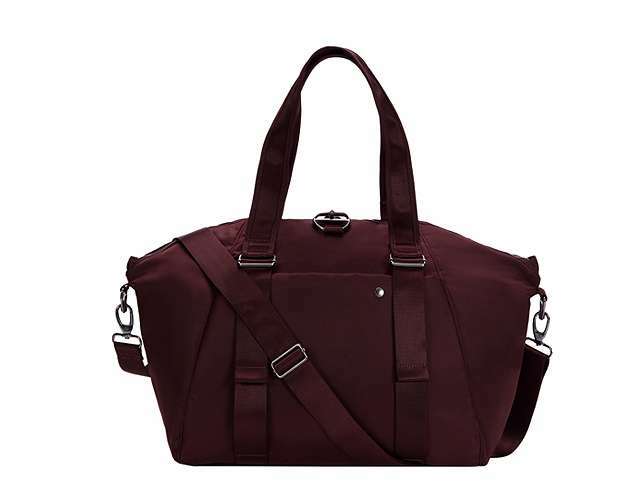 Who says gym bags can’t look stylish? This sleek tote from Pacsafe has ample space for all your gym essentials—it even has two front straps that can hold your yoga mat! Plus, it keeps your belongings (and your identity) safe because of its anti-theft technology like the RFID blockers and slashguards so you can be sure your bag won’t be sliced open, ever. Perfect if you’re a commuter! Never go to the gym without your own towel. 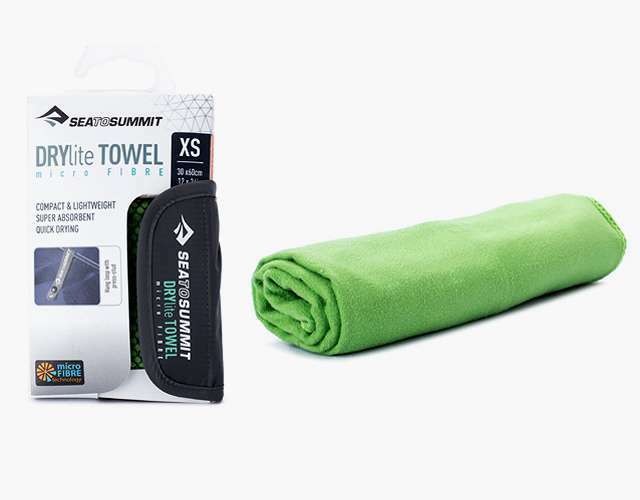 This lightweight micro-fiber towel comes in a handy pouch that you can easily stash in your gym bag. It’s designed to be highly absorbent and fast-drying, so you won’t have to deal with the icky feeling of wet towels after your workout. We suggest bringing two of these: one for yourself, and one to wipe gym equipment. It’s best to stay hygienic, people! Sweat it out at the gym…in style. 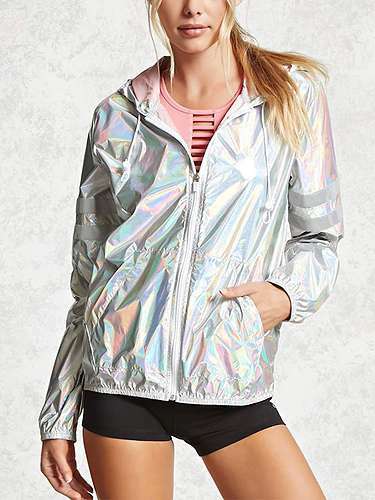 If you love anything shiny, this holographic jacket will make you look like you’re having the time of your life while working out! If you’re not into exercising while wearing a jacket, it’s nice put on this pretty and lightweight topper after a gym sesh. Athleisure aesthetic on point! If you don’t want to splurge on smartwatches, go for this stylish white-and-gold watch instead. 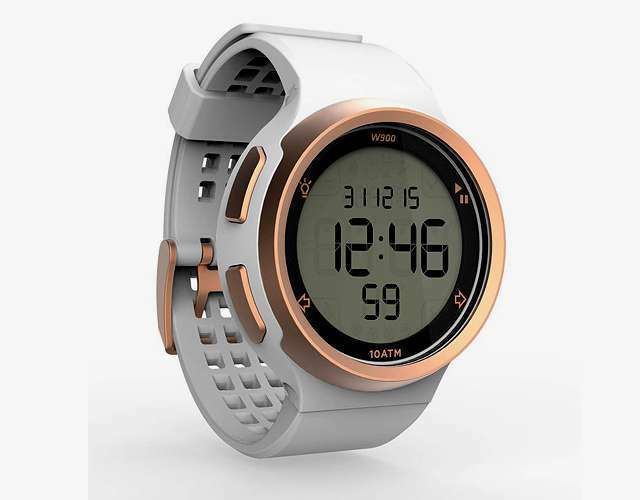 Not only does it look elegant, it can also serve as a stopwatch, timer, alarm, and a simple coaching feature that lets you program your training sessions via countdowns. Plus, it’s water- and sweat-resistant, too.